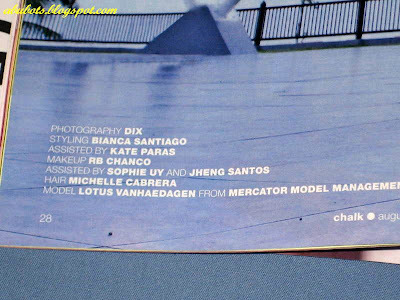 IAMBRIGITTE : why do i love CHALK magazine? 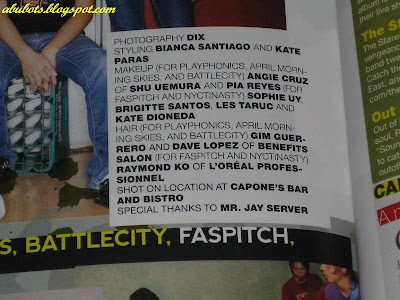 why do i love CHALK magazine? well, aside from the fact that it's one of the magazines that i collect and i love the fresh fashion (and makeup, of course) ideas they come up with their every issue...i must say that i absolutely love their issue this month. again, care to zoom in? hehehee...yeah, please bear with me ladies. 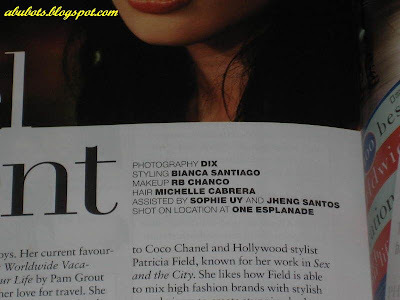 i know i didn't do that much but hey, it's my first time to see my name on one of my favorite magazines. so i am really happy. sophie, les and kate...hooray to all of us. Wow, congratulations on having your work featured in a magazine! Good job! Congrats girl! So proud of you and Sophie and the rest of your classmates!!! GO GO GO!! !